Here are some pictures of a reptile like amphibian that lived during the Permian Period. 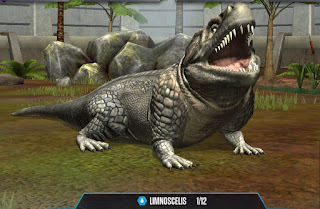 It is from the mobile phone game Jurassic World. 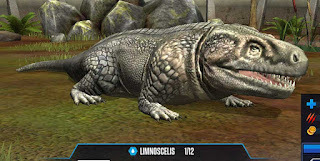 The creature is a Limnoscelis. It is thought to be a carnivore and grew to a length of about 1.5 meters. The game is available for free for the Android phone in the Play Store.